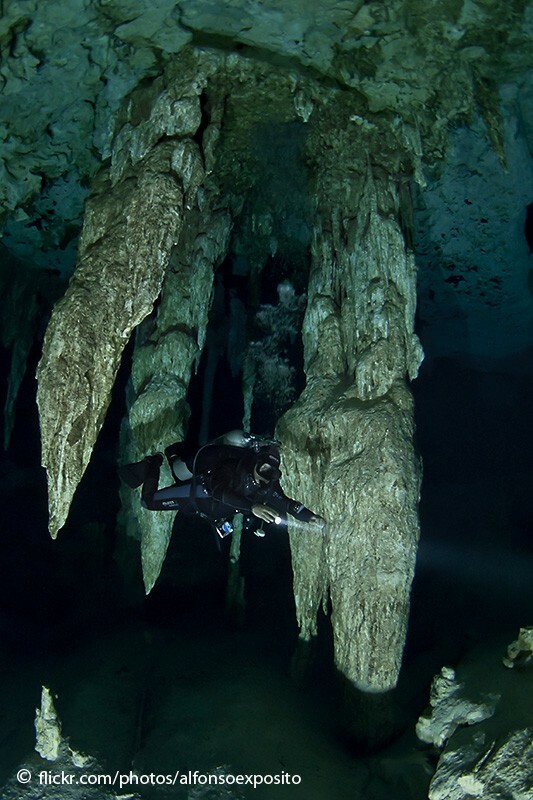 Cavern diving in Mexico, Playa del Carmen, Riviera Maya and Tulum its a very great and unique kind of dive in the whole world. The cristal clear water of this great underground river systems and the decoration of stalactites and stalagmites makes the dive very special. Sacred places for mayan people was the cenote. It was the only water resource for them to survive , to drink and to clean.Also cenotes were places where they start doing rituals and sacrifices. 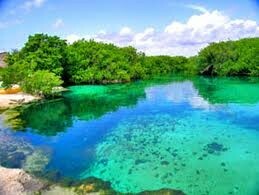 The Yucatan Peninsula its full of underground river system and those are very special for diving. Specially for the great visibility of 600 fts. of fresh water. Some of the cenotes has fresh and salt water (haloclyne) once you mix both water it makes a really nice blurry effect In the caverns and caves explorers been found skulls of very ancient people an animals. The oldest woman found in America (14 thousand years old) Mastodonts, Slot, armadillo and more. some of them Dated from 65thousand years old. Tour intinerary Im Pick up the people at the hotel. at 8:00 am and we go to the cenote (depend of the cavern its the time to arrive) 2 tank diving in the same underground river but in different areas Includes : Transportation Guide Full Gear Lunch 2 dives around 5 hours tour Divers most have an Open water diver certification minimum.